Navigational technologies come and go, but the utility and comfort of a mouse make it a timeless tool to power the digital experience. Ever since we introduced the P4 Mouse back in 1982, Logitech has designed innovative mice year after year that are faster, more precise, more comfortable, and more customizable. Whether for work or play, Logitech has a mouse for you. From the convenience of wireless technology to the ergonomics of trackballs and touchpads, Logitech offers a broad range of mice with a diverse set of features to suit your many needs. Whether you’re setting up shop on a tray table or your home desk, you need a mouse that can work on any surface. The Logitech Performance Mouse MXuses our most advanced tracking technology that works virtually anywhere—even on glass. Using our patented Darkfield Laser Sensor, it tracks on surfaces that other mice can’t. With lightening-fast scrolling and four programmable thumb buttons, it’s ideal for business professionals. And for something even lighter in size, try the Logitech Anywhere Mouse MX. For those who frequently burn the midnight oil, Logitech’s Marathon Mouse M705 is ready to put in just as many hours as you do. This wireless mouse runs for up to three years on just one set of batteries, and uses a tiny unifying receiver that syncs up with all of your devices. So while the rest of us are clocking out early to watch re-runs of Modern Family, you’re putting in man-hours and busting out spreadsheets like a boss. You’re fluent in many languages— Windows, Mac, Chrome and Linux— and your desk is starting to resemble a Best Buy showroom with all the devices on display. 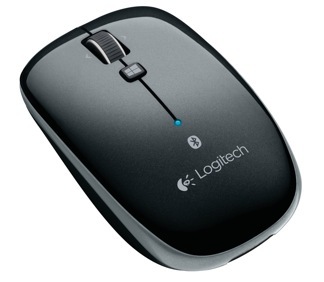 You need a multi-platform mouse like the Logitech Bluetooth Mouse M557 that connects to any Bluetooth-enabled PC, Mac or Windows 8 tablet— no receiver required. Get into your comfort zone with the Logitech Wireless Mouse M320.Logitech uses a unique, hand-sculpted technique to create a curved shape designed to guide your hand to a comfortable position. This mouse is energy efficient and automatically puts itself to sleep when you’re not using it, so you can go longer between battery changes and still enjoy the convenience of a wireless device. 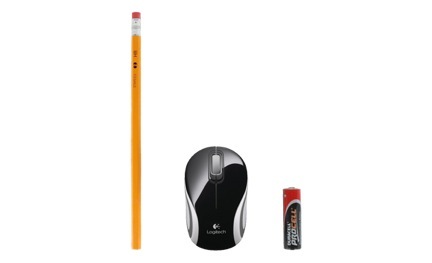 Sometimes the most powerful peripherals come in the smallest packages. 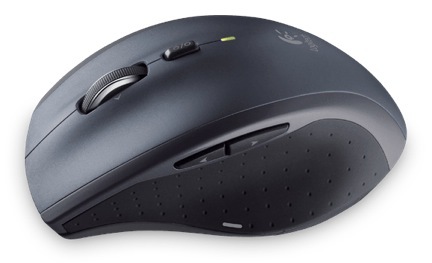 For a mouse that goes wherever you do, try the Logitech Wireless Mini Mouse M187. This pocket-sized mouse offers wireless convenience and more precision and control than your laptop’s touchpad. Small enough to slip into your pocket or purse, this portable mouse is Derek Zoolander approved.